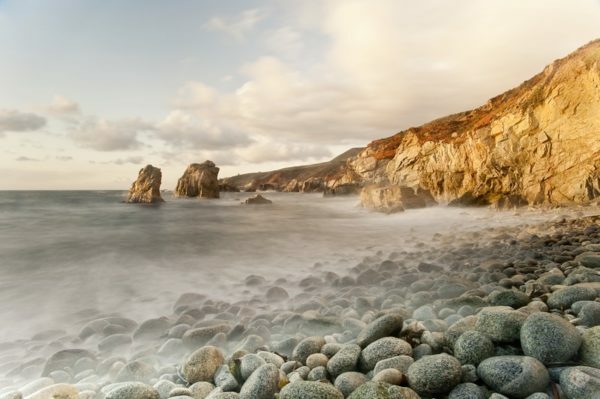 This image, “Quiet Rocks”, was taken at Soberanes in Garrapata State Park, which is one of my favorite locations along the Big Sur coast. The soft evening light and diffuse movement of the water provide a visually interesting and tranquil contrast to the rugged, eroded coastline. This beach went through a metamorphosis and has been entirely covered in sand following the heavy winter rains in 2016. Steakley supports several land preservation groups including The Big Sur Land Trust and The Nature Conservancy, and his images have appeared in a variety of their publications. He also received the prestigious Ansel Adams Award from the Sierra Club for environmental photography. His photographs have been featured in many national and international magazines including National Geographic, Architectural Digest, Outside, and Town and Country. Five books of his photography have been published, most recently Big Sur Revealed, in 2017. He has participated in small group and solo exhibitions, and his images are included in many private and corporate collections. Additionally, Doug has served as member and Treasurer of the Board of Trustees for the Center for Photographic Art.